What better time to celebrate almost 15 years of REACH than on founding director, Alice Brinkman’s 60th birthday? Join us for cake, entertainment and a special exhibit of REACH across time. September 29th, 7-8:30 pm, wander through all the new studio spaces. If you haven’t been to REACH in a few years (or ever) you won’t believe your eyes. 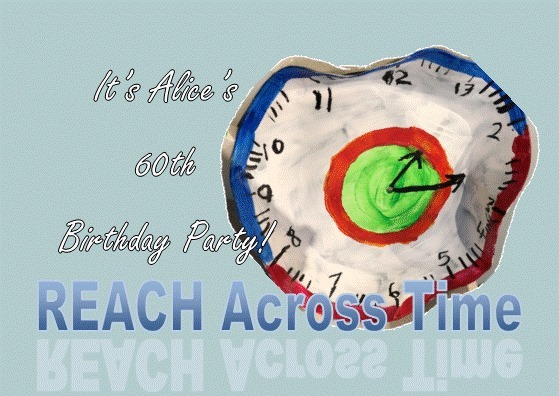 Come help us celebrate this milestone for both Alice and REACH. Free event – intended for grown-ups!